First of all, we know that when visiting this island a boat ride is on the top of the list. So step aboard for a Key West sightseeing boat ride! Join us for some sailing and have the best seat in the house for it. 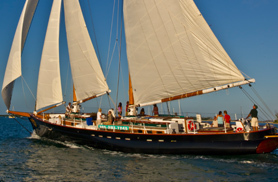 Step aboard our classically designed yacht and enjoy a boat ride out into the emerald green waters of Key West. Take in the magic that Key West has to offer with a glass of Champagne in hand, the wind blowing in your hair and dolphins surfing off the bow of our boat. 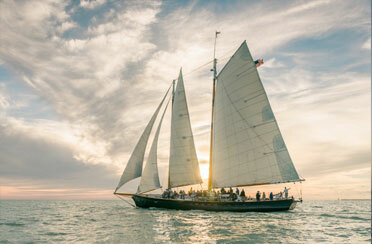 Kick back and feel this beautiful schooner as it dances through the water. 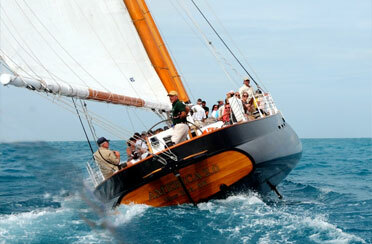 Jump aboard a Key West day sail for an afternoon. Learn the hidden secrets and wonders of this famous little Island. 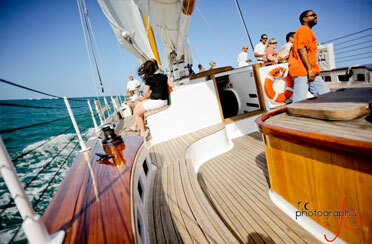 Whether you join us for a Key West sunset cruise or a day sail you are sure to feel as if you are at home. 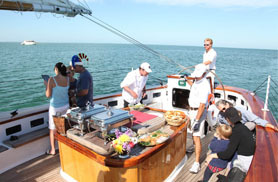 Our crew will dazzle you with their hospitality give you a lasting memory on your Key West sightseeing boat tour.